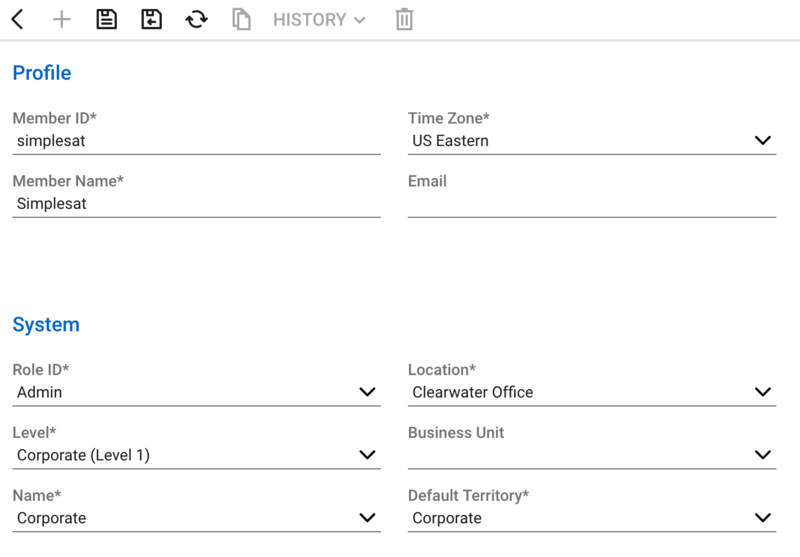 Create a new ConnectWise API Member to authenticate with Simplesat and take advantage of survey integrations. 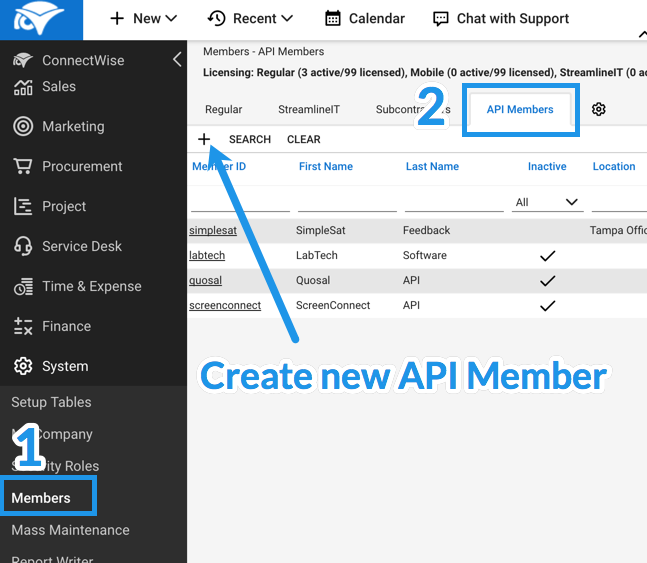 In your ConnectWise account, navigate to System > Members, then click the API Members tab. Click the + icon to create a new member. Enter the required information to create the new member. For License Class, choose API. After you've created the new member, click the API Keys tab, then the + icon to create a new key. You can name the description Simplesat Integration, then click the Save icon. Once you do, you can copy your Public and Private Keys. You can use the Admin role by default, or create a custom one for more granular settings.